Cradled in the womb of Hotel Dee Empressa, The Co. by Wok Anthems has many a surprises to offer. And I must say beforehand, they are all pleasant surprises. 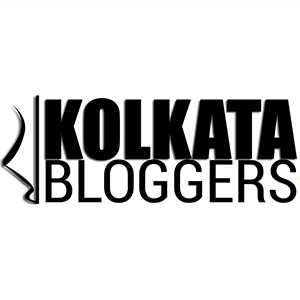 I was invited for a Food Bloggers Meet with a group of foodies, for an evening of food tasting by the owners, Barnik Bardhan and Mridul Chatterjee. They were lovely hosts, and their food selections were simply exquisite. Barnik, moreover helped us in creating the Mom’s Khow Suey when we struggled, it had an array of ingredients and his concoction was delicious. Located in one of the by lanes of Park Street(Kyd Street), Hotel Dee Empressa was a little difficult to find. Since I didn’t know the exact way to this place, I turned to Google Maps. Thanks to Maps, I had to circle Park Street thrice because all the lanes that it suggested were one ways. Finally when I reached, I found that the lane was deserted and didn’t have the glamor of Park Street. But once I entered Hotel Dee Empressa, it was a world of its own. Everything was simplistic and tasteful. The décor was elegant, but not superfluous. The Co. by Wok Anthems is centrally located on the ground floor of Hotel Dee Empressa. Upon entering I was cordially greeted by the staff and directed to a seat. The yellow and red chairs made the ambiance bright and colorful while the walls adorned with paintings and postcards gave the restaurant a distinctive flavor. It is a sophisticated 40-seater restaurant. Once I was seated, I observed that the table mat itself was the menu, it also had a small scribbling section. And they provide pencils on the table along with the basic spoon, fork and knife, to encourage customer feedback. Such a unique idea! They are primarily culinary experts in Thai, Malaysian, Indonesian, Burmese, Chinese and Japanese street food. While their expertise in South East Asian cuisine is commendable, they are set apart, because they bring in their own flavors to many of the dishes, giving a new dimension to traditional Pan Asian cooking. Moreover, their prices were very reasonable. When we go to Park Street we expect a traditional Chinese cuisine, but The Co. by Wok Anthems is completely different, it’s fresh, it’s new, it’s cheap and the quality, quantity and taste of the food will give any traditional park street restaurant a run for its money. For mocktails, most of us choose to have Lemon Grass Cooler. The cooler arrived in a big jar. It looked enticing even from afar. It had a strong flavor of lemon and lemon grass, with reasonable quantity of soda. The sweetness was just appropriate and acted as a perfect thirst quencher. Undoubtedly one of the best drinks I have had in the last few months. One of my other friends wanted to have something with less sugar and they suggested diet coke mojito. While the drink was delicious, we were all surprised to see the staff so quick on their feet to come up with innovative concoctions. We started with chicken satay, which is basically an Indonesian dish comprising of skewered and grilled chicken, served with a sauce. This was little tangy and came with 5 big pieces of chicken. This was good. Then we tried the Panggang, this had a beautiful presentation, it came wrapped in coconut leaf. It is a small chunk of fish, with numerous spices wrapped and baked inside a coconut leaf, something like Bangal’s Fish Paturi, but the flavors were totally different. This dish was a little spicy and hot, but the first bite transported me to another world. The fish was soft and fresh, the spices were well infused, and the taste was enthralling. Then the Bok Choy Wrapped Chicken Dumplings came. This dish was a total experience. It arrived in a wooden basket with a lid. The presentation was delightful. Once the lid was opened, I was captivated by its smell. Inside there were 6 dumplings wrapped in Bok Choy, also known as Chinese Cabbage. The dumplings looked so fresh and alluring that all of us immediately dug in. And then when I finally put it into my mouth, I was enraptured by its delicate flavors. The chicken was fresh and came in a good portion. This dish was a little sweetish. While we were still savoring the taste of the dumplings, the sushi platter arrived. It consisted of 4 kinds of Sushi: Sea Food Bento, Salmon Maki, Crab Maki, Salmon Nigiri, along with some wasabee and gari(ginger). Previously I had been squeamish about sushi and the concept of raw meat, but upon trying them here, I found that the flavors were delicious. And since I have always been fond of other pan-asian delicacies, I could easily identify with the taste and ended up eating more sushi than all my friends. Each of them had their own subtle taste and I loved all of them. Then the Crispy Fried Spicy Chicken arrived. This is a dish comprising of chunks of fried chicken tossed in sauces. It was a little spicy, but tasted completely delicious. The presentation was simplistic yet elegant. Finally our wait was over; Khow Suey (Mom’s version) arrived. Since we had been discussing this dish all evening, we were all very excited and had our hopes high. When it arrived, we realized that this dish needs some assembling. There was a bowl of ‘DAL’, and a few other bowls, each of which had noodles, chicken, chopped capsicum, chopped coriander leaves, tossed onions, chilies, burnt ginger, lemon & chips. Barnik kindly obliged to create the dish for us. And while doing so he started narrating the story of how this Khow Suey recipe was his mother’s enterprise and has been in his family for years. A little skeptically I tried this DAL-infused, non-traditional Khow Suey and WOW, just WOW. I was exhilarated when I finally tried it. This Khow Suey steeped in subtle and unexpected flavors, left me wanting more. Then the Fire Cracker Chicken with Pad Thai arrived. Fire Cracker Chicken is a main course with chicken tossed in sauces and healthy quantity of bell pepper and nuts. The chicken was fresh, and I loved this dish. The Pad Thai came in a good quantity and the presentation was simplistic. But I found it a little too saucy. Then the Nasi Goreng, which is basically Indonesian fried rice, arrived. It looked interesting; the rice was set in a circular pattern with a poached egg on the top. While I liked the presentation, and the Nasi Goreng had a healthy quantity of chicken and veggies, I found that the taste was a little flavorless. Soon after, the Prawn Tempura arrived. It has a distinctive presentation. It consisted of mid-sized prawn deep fried with tempura batter. It came in a cocktail glass with some white sauce. The prawn was of great quality and the tempura batter coating was thin, and crispy. I loved this dish. Thai green Curry arrived shortly after. It came in an enormous bowl. The curry was steeped in lots of chicken and bell pepper. Thai Green Curry is primarily cooked in coconut milk, green curry paste, sauces, etc. While this dish tasted good, I was expecting it to be a little creamier. The last item we had for main course was steamed fish with chili oil. It arrived covered in an aluminum foil. Once we open the foil the smell was intoxicating. This dish consists of huge chunk of fish steamed with herbs and nuts, etc. Being a fish lover, I was completely captivated by its subtle taste and it’s enriching aroma. I loved this dish. Finally the strawberry compote with vanilla ice cream arrived. This came in a small, transparent bowl. The compote (kind of jelly) was at the bottom, then the ice cream and finally garnished with some basil leaves. The presentation looked simple and pretty. I’m a dessert lover, and I found this dish to be delicious. The strawberry compote enriched the flavor of the vanilla ice cream and created a delectable concoction. Special Thanks to Barnik Bardhan and Mridul Chatterjee for hosting the event. I wish them all the very best for their future endeavors!